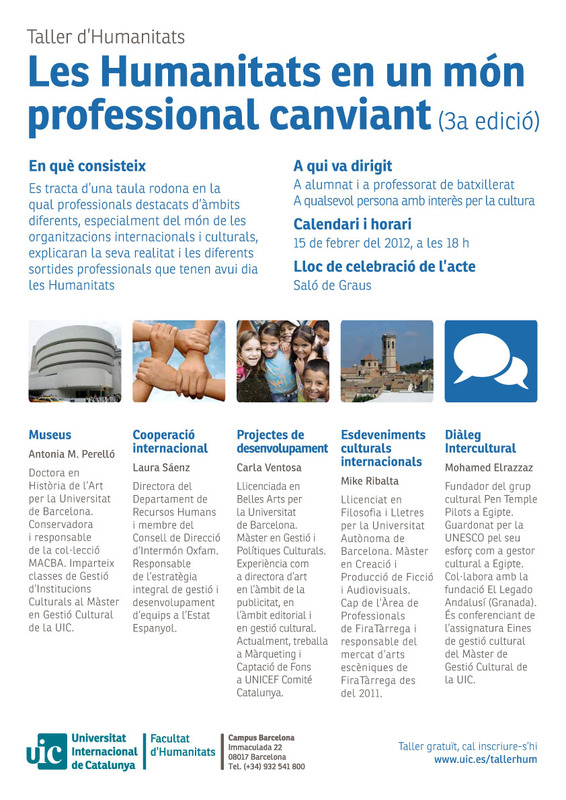 Organizing the European Commission Studies Association (ECSA) Workshop with my tutor last week in Barcelona was by far the most interesting challenge in my career as cultural manager: Over 30 speakers from different countries joined the Workshop, most of them ECSA presidents in their countries (from Chile to Japan). 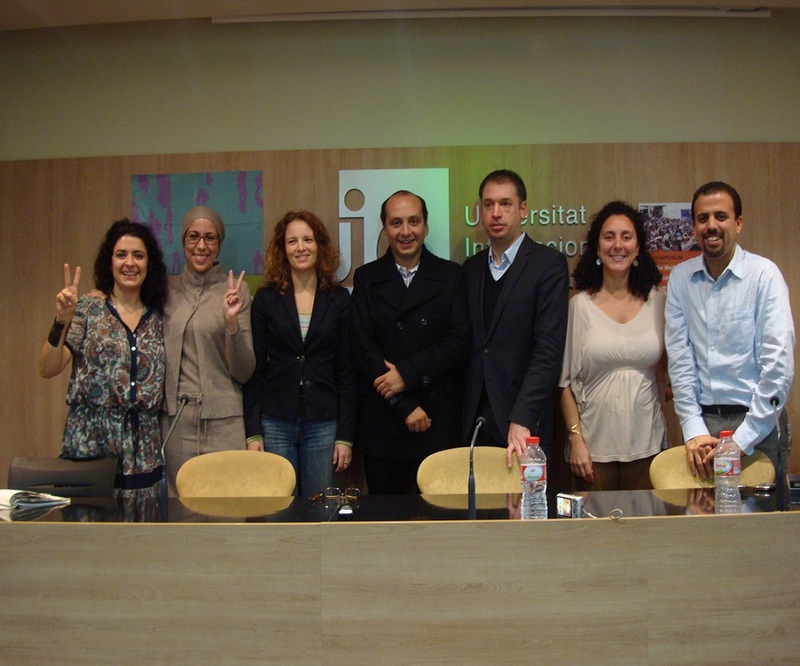 In addition, there were speakers from the European Commission and a former President of the European Parliament (José María Gil-Robles). Being an association dedicated to European Studies, several interesting ‘European’ issues were raised during the Workshop: the widening democratic deficit; the need to appease the markets; the status of the European Neighborhood Policy (ENP); the Union for the Mediterranean; the dream of a ‘global agora’; among other things. 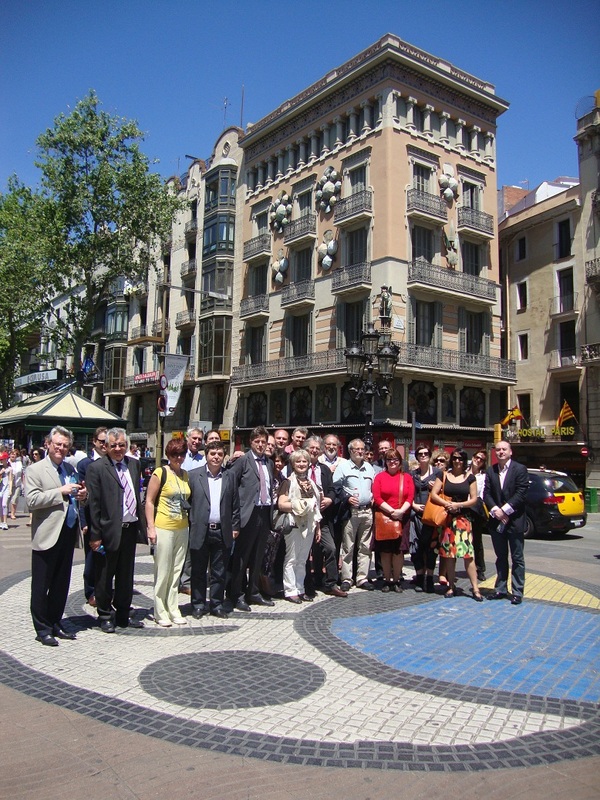 The cultural programme that we organized for the participants included a cultural tour in Barcelona that I guided and a mini-concert by a small orchestra. 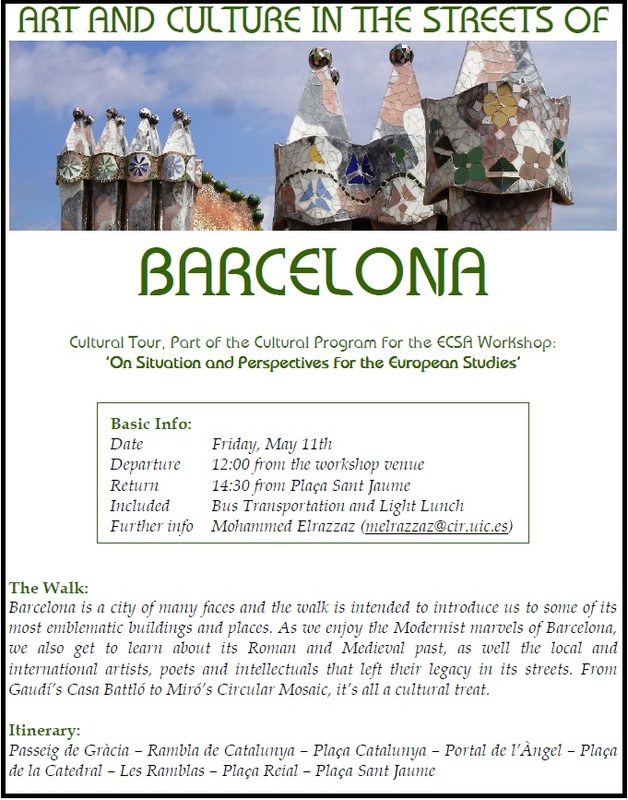 Tomorrow marks the beginning of the European Studies Workshop that I’m participating in organizing for the European Community Studies Association (ECSA) in Barcelona. As part of the cultural programme of the Workshop, I will be organizing a cultural excursion for the participants (poster and itinerary attached). Next week, I will share some of the stories that I will tell during the excursion on my blog. Studying humanities is not about studying a course or a master’s degree, but rather an ongoing learning process through which we learn how to listen, communicate, think and reflect, in an attempt to better understand the social, cultural and moral geographies of our time and of other times. Studying humanities does not make you a doctor, an engineer or an IT expert, but it makes you able to assess and understand the impact of science and technology on the quality of human life and on the molding of modern societies. 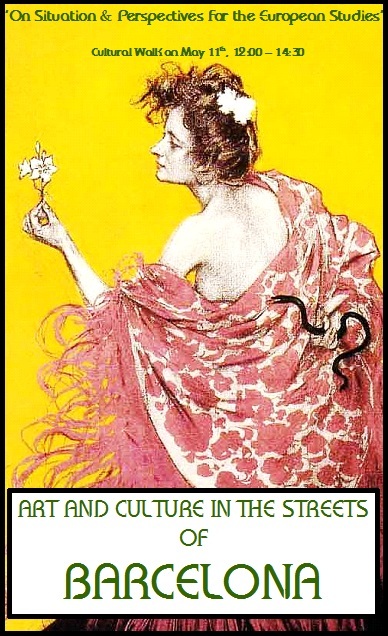 In short: how they affect the human condition. 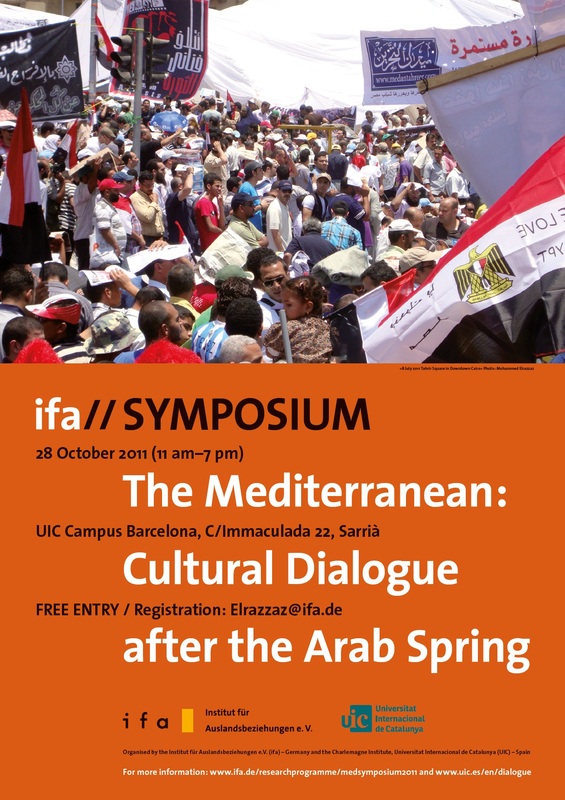 The symposium focused on the expectations of the Arab civil society as to what the EU could offer in the post-revolution phase. Many thanks to Dr. Enrique Banús for the incredible effort and the so much help that he provided throughout the whole thing. 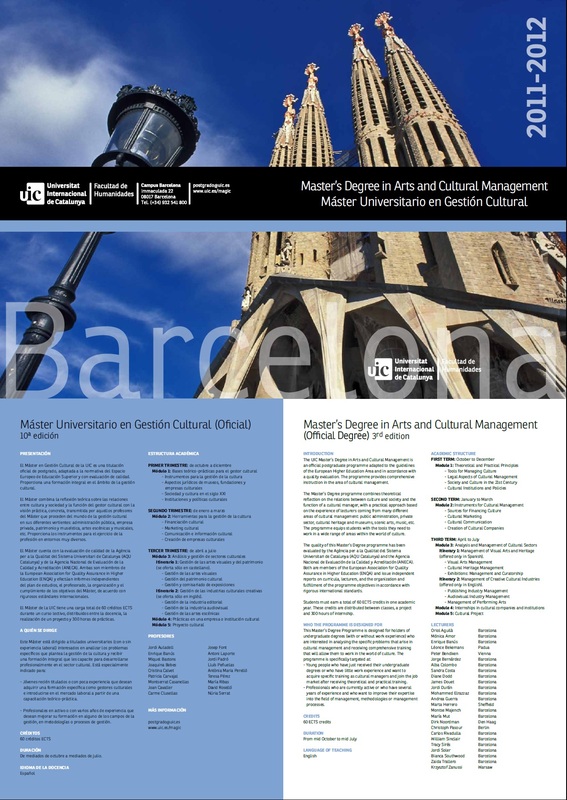 Today I start lecturing on “Tools for Managing Culture” for the students of the MA in Cultural Management at the Universitat Internacional de Catalunya (UIC) for the second year in row. Always a learning experience, always a pleasure.